Racing tips: Fox on the prowl at Goodwood? Urban Fox was a surprise winner at the Curragh on her most recent start, but it certainly would not be a shock if she were to follow up in the Qatar Nassau Stakes, the feature event on day three at Goodwood. She posted a career high when landing the Pretty Polly Stakes last time, beating subsequent Irish Oaks second Forever Together by a comfortable three and a quarter lengths. It did not appear the toughest Group One on paper, but Urban Fox asserted her authority and this is an ideal opportunity to prove that was no fluke. Sabre fell slightly short at Royal Ascot but is worth another shot stepped up to six furlongs in the Qatar Richmond Stakes. Precious Ramotswe can reverse recent Haydock form with God Given in the Qatar Lillie Langtry Stakes. The pair were third and second respectively behind Horseplay in the Lancashire Oaks, with a length and three-quarters separating them. Rock Eagle catches the eye in the opening Matchbook Best Value Exchange Handicap. Winner of two of his three starts to date, Ralph Beckett’s charge showed his class when triumphing off an unsuitably slow pace in a novice heat at Windsor last time. Arigato can follow up his Sandown victory of last week in the Smarkets Betting Exchange Handicap at Epsom. The Guinness Galway Hurdle is the showpiece event on day four at Ballybrit and Voix Du Reve should have every chance for Willie Mullins. 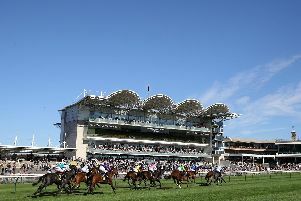 Epsom: 5.45 Top Beak, 6.20 Amanto, 6.55 Mendoza, 7.30 Toy Theatre, 8.00 Arigato, 8.30 Port Of Call. Ffos Las: 5.30 Popping Corks, 6.05 Derry Boy, 6.40 Tinsmith, 7.15 Eraad, 7.45 Sicario, 8.15 Dream Catching, 8.45 Swendab. Galway: 1.40 Mine Now, 2.15 Barra, 2.50 Koybig, 3.25 Petticoat, 4.00 Causey Arch, 4.35 Voix Du Reve, 5.15 Grand Canyon, 5.50 Doctor Duffy. Stratford: 1.30 High Jinx, 2.00 Royal Plaza, 2.35 Cafe Au Lait, 3.10 Celestial Path, 3.45 Simply Lucky, 4.20 Jonagold, 4.55 Seven Nation Army. Goodwood: 1.50 Rock Eagle, 2.25 Precious Ramotswe, 3.00 Sabre, 3.35 URBAN FOX (NAP), 4.10 Cupboard Love, 4.45 Summer Skies, 5.20 Count Otto. Nottingham: 2.10 Be Like Me, 2.45 Regular, 3.20 Chippie Hill, 3.55 Thundercloud, 4.30 Jack Regan, 5.05 Tallinski, 5.35 Methag.